Home » Odds & Sods » A professional knitted Tom Baker’s multi-colored scarf – now you can try this at home! 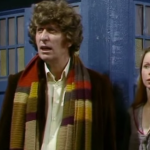 A professional knitted Tom Baker’s multi-colored scarf – now you can try this at home! 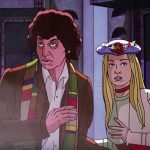 Yes, Tom Baker’s original signature multi-colored scarf was done by professionals but, unlike those Porsche or BMW commercials that wind you through the closed back roads of Arkansas at breakneck speeds, you are encouraged to try this at home thanks to a BBC Enterprises memorandum from back in the 80s. 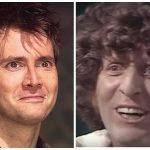 The origin of the scarf, as history tells us, had costume designer James Acheson picking up a load of wool and asking a knitter Begonia Pope to knit a scarf for Tom, who had taken over the role from Jon Pertwee in 1974. Baker was to lose the ‘puffy shirts’ and ‘velvet jackets’ opting for more of a ‘romantic adventurer’ look with felt hats, long overcoats and, of course, the iconic scarf. 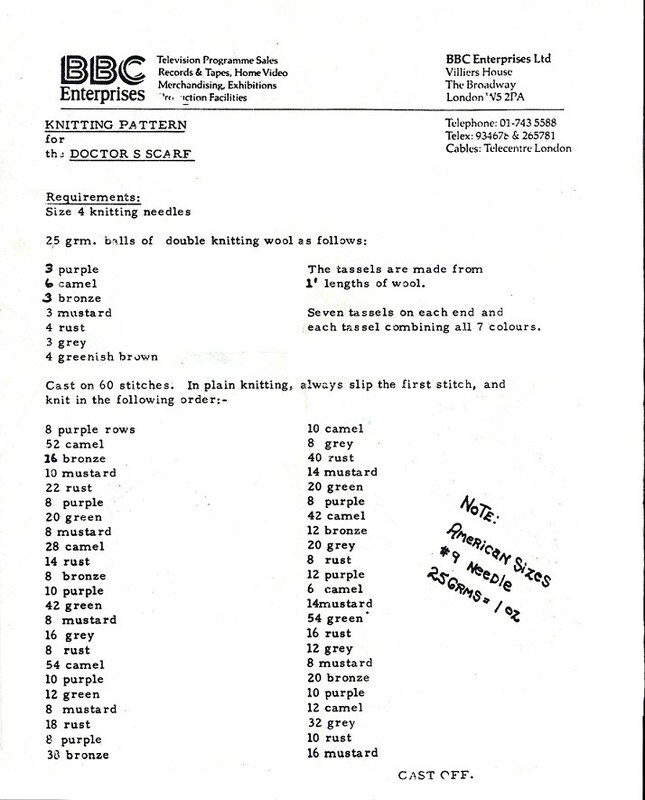 The scarf in its original form was only seen in “Robot” and “The Sontaran Experiment,” which was recorded right after “Robot.” Responding to a number of requests from mothers of Doctor Who fans, the BBC began sending detailed instructions on how to make the scarf in the form of the document below. Special thanks to 93fangshadow for providing the original BBC pattern image sent to a family member back in the 80s. 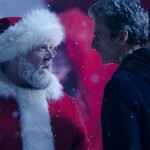 While the original lengthy scarf lasted on a short time, there were a number or different incarnations over the next couple of series as the original was sliced, diced and altered over the years. There were even ‘stunt scarves’ used as stand-ins even though they never made it into the show credits. It was season 18 when costume designer June Hudson rethought the entire costume and streamlined the colors down to three – rust, wine, and purple, to match the Doctor’s more swashbuckling look. It also became the longest scarf of the series, some 20 feet. 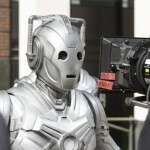 Alas, the following year, the Doctor reincarnated again and what has become known as ‘The Scarf Years’ were over. For a more ‘in-depth’ look at the Doctor’s scarf, including Pantone color references and wool brands and some of the most amazingly detailed tips and instructions on knitting your own scarf, click here. If you decide to knit your own or have done so, send us your pics and we’ll post them in a future Tellyspotting post! 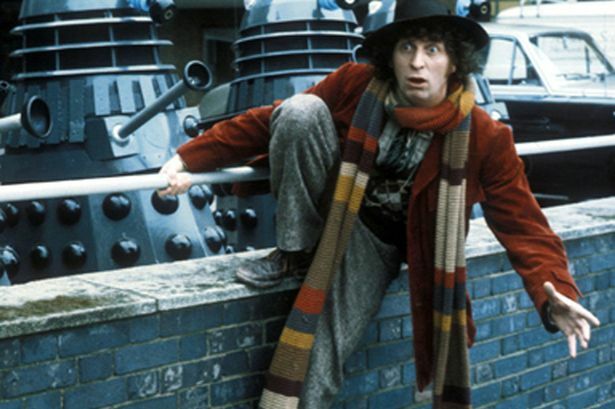 For those in the North Texas area that want to see the original scarf in action, the Tom Baker episodes of Doctor Who will begin airing on KERA in Dallas, Saturday nights at 11p beginning May 7 with ‘Robot’! 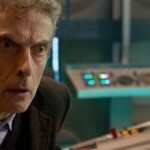 Make that ‘Doctor Who’ scarf you’ve always wanted!